Drive South on HWY 99. Merge onto HWY 17 via Exit 28 toward the Ferries. Turn Left on 56th Street into Tsawwassen. Drive through Tsawwassen on 56th Street until you arrive at the U.S. border crossing at Point Roberts, WA. Passport, birth certificate or Enhanced Driver’s License is required to cross into Point Roberts. Follow Tyee Drive south and turn right at the second stop sign at Gulf Road. Point Roberts Parcel’s Parcel 1/4 mile down the road on the right hand side. Look for the big blue building on the right hand side! **IMPORTANT** Please be alert to the fact that you will be crossing an international border. Remember to bring your passport and allow sufficient time for border delays. 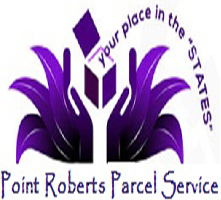 Also, please confirm Point Roberts Parcel\’s Parcel business hours in advance.